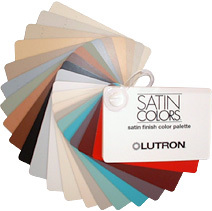 Lutron wallplates, dimmers, controls, and automated window treatments come in a variety of colors, styles, and fabrics to coordinate with your project's aesthetic. With options ranging from traditional to contemporary, Lutron has a look that complements the design of your space. Use color without compromise. Choose a finish: gloss, matte, satin or metal, and see the myriad options our palette provides. Whether your look is demure or daring, the scene is perfectly set with Lutron. Ensure reliability by selecting Lutron while also maintaining style. Choose from our Designer, Traditional, Architectural, and New Architectural categories. 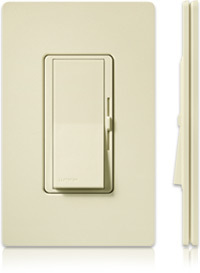 Lutron’s premier styles of products are sure to complement any décor. 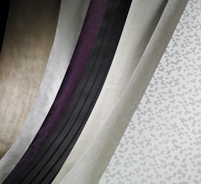 Style meets technology with Lutron’s extensive line of window treatment fabrics. By continually evaluating current trends, Lutron ensures a well-rounded collection of fabrics for any shading system. Style is finally made easy with Lutron.